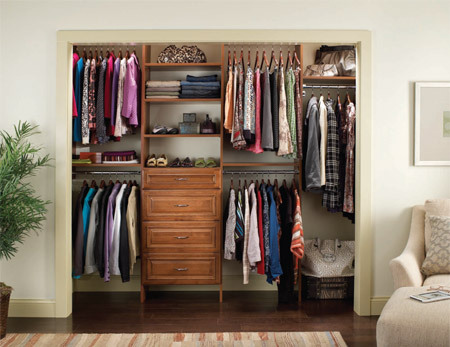 We have partnered with ClosetMaid to provide custom closet and home organization systems including design and installation. Why not make the place you begin and end each day as beautiful and functional as possible? Let us design a beautifully appointed walk-in closet in your master bedroom to suit your sense of style and install a sense of order. Effortlessly combine efficiency and beauty in even the smallest of closets in master bedrooms, children’s bedrooms and guest rooms. Staying organized can be child’s play. 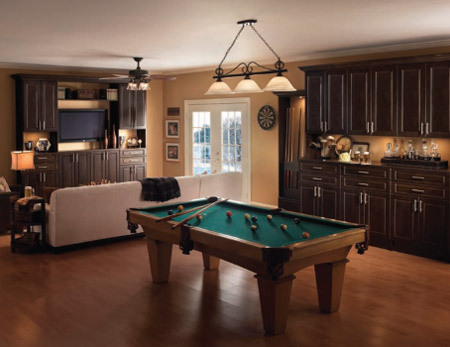 Your family room has to accommodate a variety of uses, from media center to library to art gallery and game central. We can design a stylish solution to fit your needs, your space, and all your things. 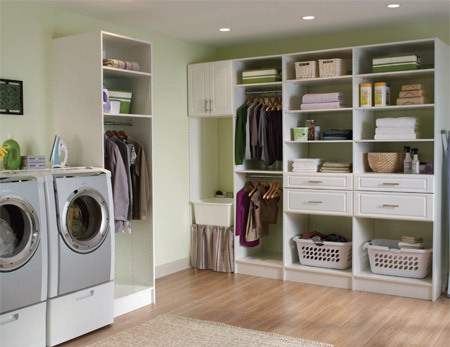 The more functional your laundry room, the less time you’ll have to spend there. And the more beautiful it is, the less you’ll mind spending the time you do there. Tell us what you’d like, and we’ll iron out the details. 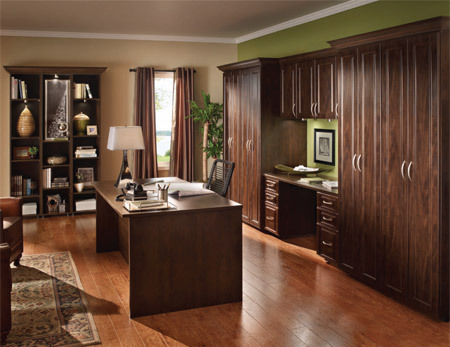 Your home office can be a study in style and function with a custom design and installation. With smart features to keep you completely organized, it will make your job easier and more efficient. 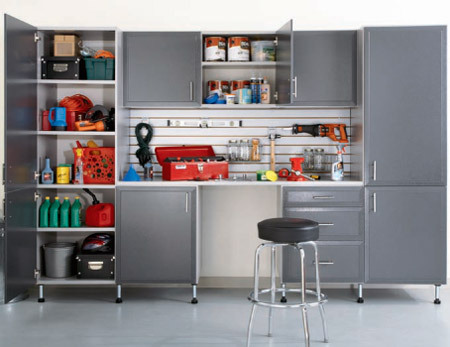 If your garage looks like a disaster zone, you can barely fit your car, or you can never find what you need, we can help with a professionally designed and installed system with storage for everything you need room for. Contact us at 705-721-9148 to book an appointment for an in-home consultation.